At The Barrera Firm, we handle a broad range of complex litigation in the state and federal courts. With law offices in San Antonio, we advise and represent clients throughout Bexar County across Texas and the Nation. 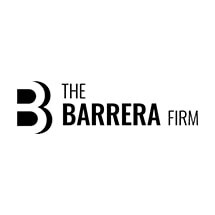 Throughout the years, the Barrera family has served generations of clients in San Antonio, building a reputation for legal excellence, integrity and results. Today, the attorneys at The Barrera firm continue that tradition, providing cutting-edge representation to clients facing complex and contentious legal disputes. If you are seeking guidance for an employment law, insurance claim, personal injury or business dispute in San Antonio, our law firm is here to protect your rights and interests. To arrange your initial consultation with one of our experienced lawyers, please contact us online or by telephone at 210-693-0910.